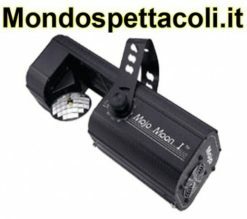 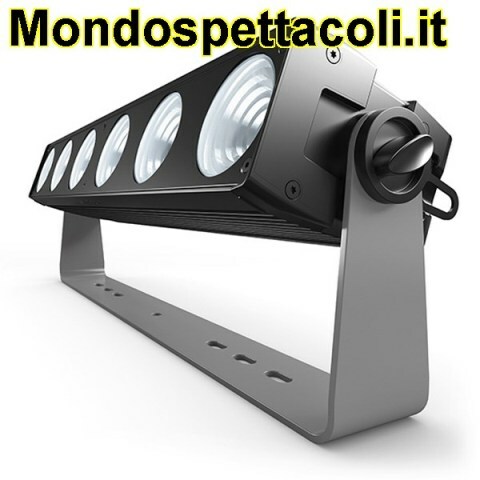 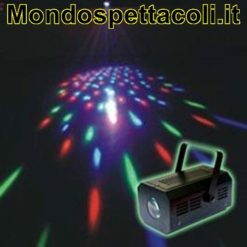 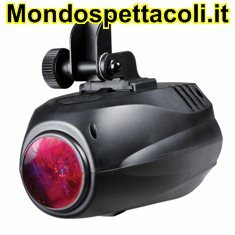 SGM SixPack è un faro led professionale, con 6 led rgba da 40 watt ciascuno. 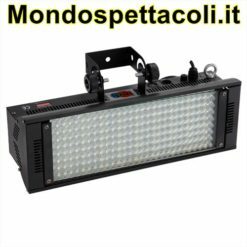 The SixPack (SP-6) is a unique pixel array based on the popular blinder — but by replacing the traditional halogen with RGBA LED source it can achieve so much more. 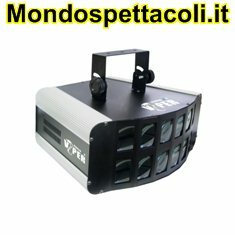 The fixture combines six outputs of powerful 40W colour mixing with built-in electronics, and individual DMX control over each lamp, allowing the creative Lighting Designer to paint light canvasses displaying animated text or programmed patterns. 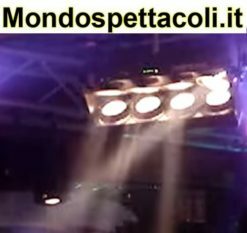 SixPack will not only control the colour but the LED will even emulate the decay of the old halogen lamp, while the housing itself is trapezoidal-shaped so that multiples can be hung in vertical or horizontal matrixes or clustered into an array using the unique easy install rigging system.